The Châteaux GRP® (Grande Randonnée de Pays - Long Distance Walk) offers four circular walks that lead you past large châteaux and smaller manor houses, which will not fail to impress! These four loops will take you on a discovery of fantastic local scenery. In Sologne, discover traditional brick and timber frame village houses nestling among forests and lakes. 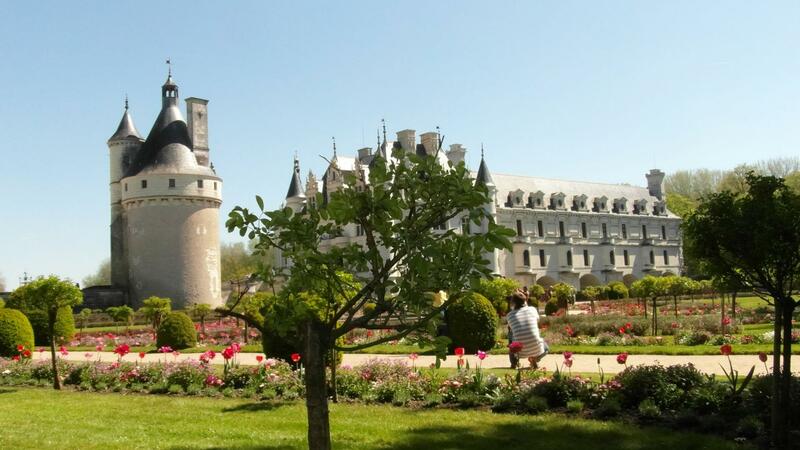 This itineraray will take you past the châteaux of Chambord, Cheverny and Villesavin, a dwelling built by Jean le Breton, who was placed in charge of overseeing the works on the Château of Chambord by King Francis I. By taking a detour, more curious walkers will be able to admire a number of smaller but just as impressive dwellings. You can also walk from vineyard to vineyard and among vines of the Touraine, Cheverny and Cour-Cheverny appellations. Situated in the middle of the vineyards you will see a number of small houses. These are the vineyard huts, where the vine growers store their tools and can shelter. Further on, you can walk from the Loire with its changing weather and white sand banks to the Cher Valley. Along the way you will come across Blois, the Château of Chaumont-sur-Loire with its famous Gardens Festival, and Montrichard with its Medieval keep. Covering both sides of the Cher Valley, the last circuit goes up to the Château of Chenonceau, whose famous gallery spans across the river Cher. Take a stroll in its wonderful Diane and Catherine gardens. Find out more about the itinerary.